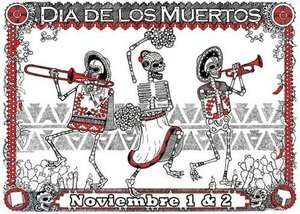 Yes, it’s that time again…not Halloween, but Dia De Los Muertos (Day of the Dead) on November 1 and 2nd. 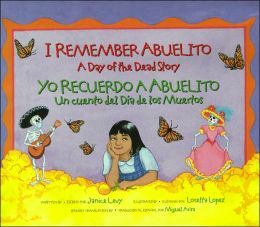 I used to hear that celebrating Dia de Los Muertos (DLM)was morbid. But with some understanding of the cultural concept of Dia, it has become quite trendy–a real party. We did not celebrate DLM in my Mexican-American home (In the 60’s we were Mexican-American, the 70’s Chicanos, the 1990’s Hispanic, 2000’s Latinos- a short history lesson). Growing up Catholic, November 1st was celebrated as All Soul’s Day, and we attended mass (Not a party). If you are ‘new’ to the Dia de los Muertos revelries, here’s a list I complied last year on the Icons of the Day of the Dead. And if you’d like to celebrate the days leading up to DLM, here’s a list of 10 Must Have Items for Dia De Los Muertos. Dia is trendy now but that’s okay. To me, this means DLM is not only culturally relevant to Mexicans, Mexican American, Chicano’s, but the concept also resonates with other people who agree that those who have passed should be honored, remembered, and celebrated. Hey, even Hollywood jumped on the bandwagon. I’m so glad that the person who pitched this story idea was Jorge Gutierrez and that award winning director, Guillermo Del Toro signed onto the project. 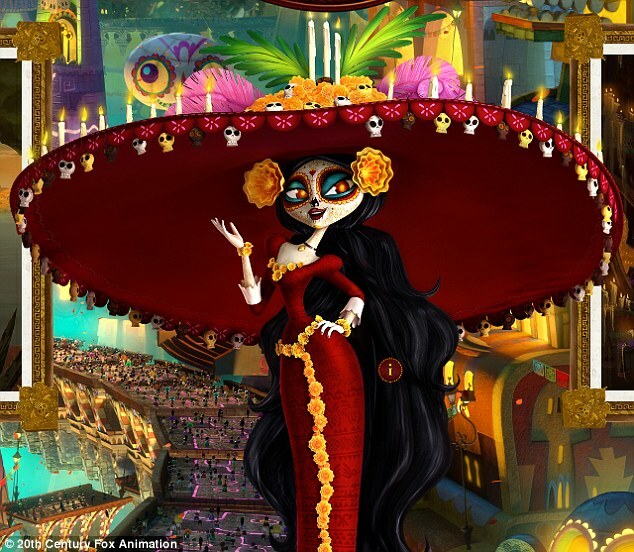 Read this wonderful movie review of “Book of Life,” by Melanie Mendez Gonzales. 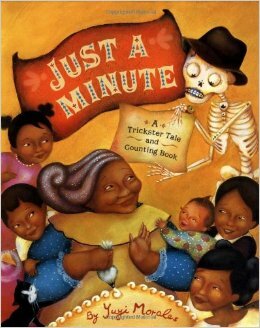 If you’d like to become better informed or give your kids a wider multicultural view, here are some beautifully illustrated and written children’s books on the Day of the Dead. This is a story about a young girl who helps her family prepare to honor her grandfather. I like to use the remembrance cards that are given out at church funerals. I place these all over my dresser, light a candle, and re-read the cards and think about the good times I’ve shared with the person. And now that you know a little more about Dia de los Muertos you can chose to honor your loved ones too by setting up a space on your counter or chest of drawers, with or without a candle, and place photos of the person (s) you’d like to honor.